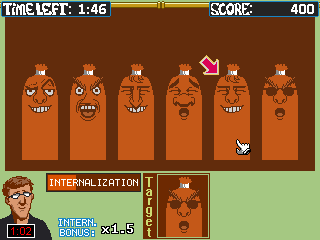 A puzzle game where you try to find the target sausages' faces in a lineup. Made for wizard jam 4, the idle thumbs community game jam, held from November 19th 2016 at 9:00 PM to December 5th 2016. The game works only on windows and is controlled with the mouse and left mouse button. 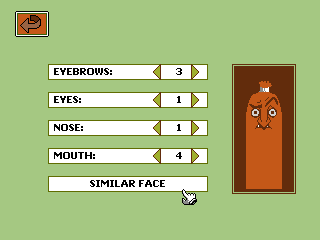 The 'sausage creator' doesn't actually do anything in-game. It's just a for-fun thing to mess around with the different facial features. Scores also aren't saved. Since I recently got the game maker html5 module, I added a html5 version that can be played within a web browser. The resolution options don't work correctly with that version, though. Sorry about that! I'll try to build in better support in future games. 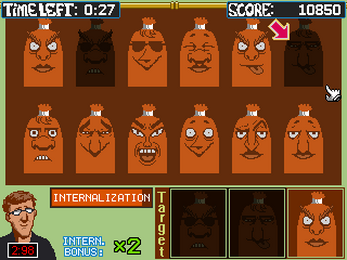 Extract the files from the downloadable zip file 'sausageFace.zip' and run the contained .exe file. You should also be able to download the game using the itch app and launch it from there.